A few weeks ago our class briefly talked about Niagara Falls and the commercialization that took place there in the early 1900’s. The brief discussion centered on the topic of whether the government or private parties should control the land surrounding Niagara Falls. There is currently a new and interesting debate surrounding Niagara Falls, which is whether to allow famous tightrope walker Nik Wallenda cross the Horseshoe Falls from the American side to the Canadian side. Recently, Governor Cuomo signed legislation into law that would allow Wallenda to tightrope walk on the American side within a year. We now wait for the Canadian parks department to approve or disapprove the event on their side of Niagara Falls. I personally believe that this will be good for the City of Niagara Falls because it will bring some much needed positive attention to a city that has been declining economically for years. The event would be televised by the Discovery Channel, which would draw even more attention to mighty Niagara Falls. I do not think that this event would significantly take away from the natural beauty of Niagara Falls because it is just a one-time occurrence. The fear that a stunt, performed once, will ruin the beauty of Niagara Falls is an illegitimate fear in my opinion. However, stunts over Niagara Falls on regular basis would turn the great Niagara Falls into a sideshow. Fortunately, the legislation permitting this is only good for one year and I doubt the Governor would routinely let this happen. It is my hope that the Canadian officials will approve this walk so that we can see Nik Wallenda traverse the beautiful Horseshoe Falls. 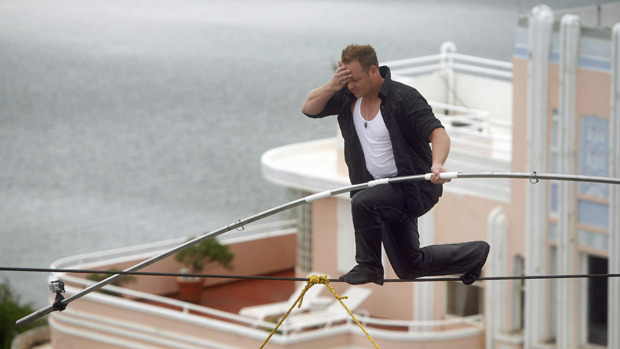 If not, Wallenda still plans to do the walk on just the American side. Either way, Niagara Falls will still contain the same natural beauty as it did before the anticipated walk.